Saturday: 1200-1500 relay of "Tribe FM 92MHz"
Other days: 1400-1900 relay of "NBC FM 90.7MHz"
Morning broadcast to start around 1915 began. The extension broadcasting (irregular) from midnight until the morning are also carried out. 3365 kHz. heard past 1416. Nothing today on 3275 kHz. SA: "N-B-C National Radio, the Voice of Papua New Guinea." It is probably relay of NBC-FM. 3275kHz : s/off around 1400. 3365kHz : -0020- all night ? -1624- 3365kHz  Broadcast wave of unmodulated. In this remains until the morning today ? -1450- 3365kHz Today nothing. 3275kHz is an extended broadcast to their place. Broadcasting of 3260kHz is not yet able to identification. ... Local name ID does not confirm. -0842- 3260kHz //3275kHz, 3365kHz  The same relay broadcast. It is after a long time three PNG(NBC) stations of broadcasting hear. -1212- 3365kHz VY poor modulation. the alert. It's nice to have three NBC stations on the air again at the same time! Ron Howard, but has he noticed any QRDRM?" last reported by me on Jan 29, of this year, with no trace of it heard recently. (Calif.) for originally reporting on this unique relay within a relay! I heard the "Palau Ambon (Love Ambon)" was after a long time. 3905kHz is not possible to listen in good condition in Jamming in my location. We want to reactive a lot of the station. Completion of their new Website we look forward to. It is regrettable but does not hear even one of the broadcast. No signal: 3260, 3275, 3365kHz etc..
Their website is also still under construction. -1105- 3275kHz re-active. Others(3260, 3365kHz etc..) have not been heard. -1035- poor signal on 3365kHz. NBC ? Signal is too weak and can not confirm the contents. content can not hear at all. ** There is no frequency that PNG station is heard. -1008- 3260kHz. s/on around 1000 ?? Nov 26, noted PNG-NBC on 3260, from 1128, till going off at 1200*. Ron-san, ARIGATOUGOZAIMASU! Information of s/off time. -1030- 3260kHz, 3365kHz both strong signal. 0821-0900, in English; believe "NBC National Radio" relay. 0900-0918, NBC National News in English. 0918-0922, "NBC Madang News" in Pidgin/Tok Pisin; into their local programs. 1002, news in Pidgin/Tok Pisin. 1100, news in Pidgin/Tok Pisin. 1205, PSA; 1207* suddenly off in mid-sentence. often unreadable; above threshold level audio the whole time. till 1000, Nov 27; CRI signs on. had heard good condition. But the broadcast time has become shorter. 3365kHz of through this morning from last night was like all-night program. 3260kHz NBC-Madang, No signal 3275, 3365kHz. The broadcast seems to have ended around 1300. I could not be confirmed. Thank you for your PNG Web-site information. But, Station's symbol color is only FM...Shortwave? This is perhaps not yet fully completed. It will be found also nostalgic frequency. I look forward to all of the completed. on 3325 and 6020 kHz. Heard weak at 1150 along with co-channel RRI Palangkaraya. TNX! remote radio in AUS. with Live stream of RRI-Palangkaraya(http://www.rri.co.id/home.html). -1445- It seems to have already finished when I noticed. on Jan 30. Thank very much to Ian Baxter (Australia) for the tip! in my location. Oh! amazing sound on 3325kHz. Very FB!!! 3325kHz for the first time in a long time. Ron-san, thank you very much!!! Am still happy with my 1972 Bougainville QSL !! Thank you very much! This is valuable! 1990 civil uprising and that few people reside there now. Here is a recent story (Jan 9). boss of the station and resides in this house. were switched on again after the fire died out. in the last two days in and around Buka town." Ron-san, FB Information !!! ARIGATOUGOZAIMASU. -1055-  TNX! remote radio(PERSEUS SDR) in Australia. Feb 2 with NBC Bougainville testing on 3325 (1241-1403). 1301 "NBC News Roundup" in English, but that was mostly unusable. In heavy snow today in Akita/Japan that I live, it was a snow removal work. We are looking forward to tomorrow........ 3325kHz! Yesterday, PNG was nice signal, but heavy QRM from NK. I heard Local IDs "NBC Bougainville, Maus Bilong Sankamap"
FB audio! and clear announcement(SA)! I was not able to listen to the radio yesterday. not sure if it's propagation or something else at this stage. 1352; went to their local Palangkaraya news at 1402.
same frequency and NK of 3220kHz in my location. That's too bad. Thank you very much for your FB information! Today, 6020 very strong signal. But not clearly, heavy QRM by NKs Jamming. -1030- Local ID "NBC Bougainville, Maus Bilong Sankamap"
Yes, due to Jamming from NK, I do not know the contents of 6020kHz. 6020, Is that test transmission? -1120- Now very strong and clearly. ** 3325kHz; very weak signal, RRI ?? is no longer on 3355 SW. It stopped using SW in 2000 because of a lack of spare parts. David Kibeto, Director Provincial Radio, NBC Sibu, Email is rsimbu@nbc.com.pg. and 1200-0200 UTC relay of NBC National Port Moresby. No local contact. SW because of a lack of spare parts. It broadcasts only on 95.9 FM with 3kW from Mt Hagen. Port Moresby. Contact is: Jacob Kaka, Director Provincial Radio, NBC Western Highlands. with 1kW. Contact: Micah Yanage, Regional Engineer-Momase, NBC Morobe. occurred during the current testing phase to test linearity of the new 10kW transmitter. These DRM transmissions are the first such DRM transmissions to have occurred from PNG. -1215- 6020kHz DJ by male. ** 3325kHz is unknown, RRI-Palangkaraya only ?? in a different schedule as 6020kHz. RRI(Indonesia) was also the all-night broadcast !! with opening announcement at 2159, then National Anthem again. TNX! ISHIDA for advice !!! *0900- ?? ?, sorry it did not clearly. -0920-  heavy QRM from 6015kHz and NK Jamming. PAPUA NEW GUINEA. 3260, NBC Madang, 1200+, Feb 7. The syndicated (Florida, USA) Sunday program "Island Praise"
by 1229 check; clearly // 6020.
info; many "Island Praise" IDs; "I'm Stacy Rose. Turn up your radio. where you are); // 3260. Before 1200 pulsating noise jamming (N.
"Island Praise" show back in July 2013 via NBC Madang. ** RRI- Palangkaraya(tent.) has s/on to around 10:00.
heard last night (Feb 7) at 1040 UTC with an interview program in Tok Pisin. Then the religious song "Here I am Lord" at 1058. ID as "NBC Bougainville"
complete its tests and be on regular service by the end of this month. -1049- LID "NBC Bougainville, Maus Bilong Sankamap"
Now very FB in my location (Hokkaido / JAPAN). -1108- UNID carrier, PNG no Signal? 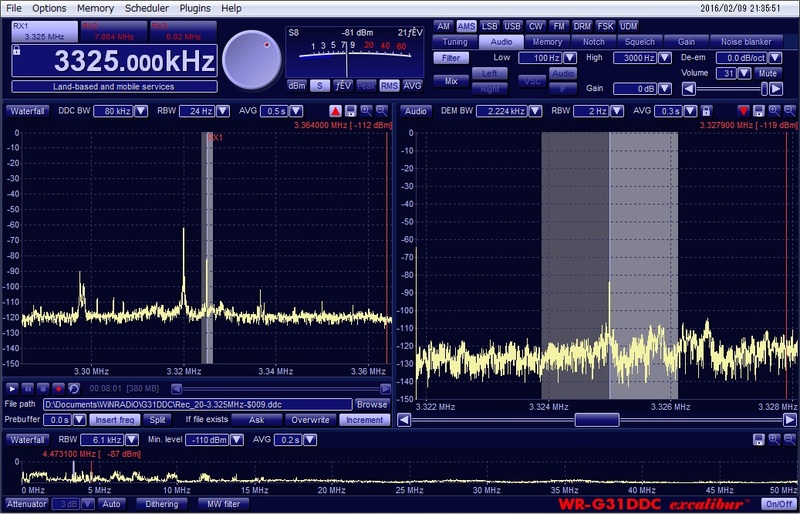 3325kHz NBC, QRM of RRI on co-frequency, NBC had heard yesterday. down hill for a while, but later came back up again. heard in a heavy interference state. But heavy QRM from NK of 3320kHz. Ron-san's detailed report will be always very helpful. -0815- 3325kHz NBC-Bougainville(tent. ), No signal on 6020kHz. unusable; by 1305 only one station here -  RRI Palangkaraya. broadcast than I heard yesterday, which went past 1503. Needs more monitoring now that they have a schedule. BTW - On 6020 only heard VOV4 (Vietnam) today. NBC was no longer heard in the 6020kHz in my location. 3325kHz NBC-Bougainville, QRM of RRI on co-frequency. 3260kHz// 3325kHz, relay of NBC-FM ?? were unusable, but with RRI the stronger. sunset at 5:39 PM WIB (1039 UT). 3275kHz  NBC ?? No-modulation carrier, ** TNX! remote radio in AUS. floor of the Disaster and Media Centre in Alotau Town. Milne Bay, The Voice of Kula. -1135- 3275kHz UNID Strong signal but weak modulation, maybe NBC. Papua New Guinea National Elections in 2017. Do not they use short waves this time ? frequencies to improve radio access in remote rural areas as in the early 1980s. "PNG Minister for Communication wants to invest in shortwave"
provinces to have short wave frequency radio stations. make sure that we revive the radio stations" Mr Basil said. could not be able to penetrate when it meets obstacles. the day" Mr Basil said. the step back because ther's no funding to make sure we maintain those asset. mountains can have excess to communication" Mr Basil said. Recent program of PNG NBC Radio. The broadcasting time may be slightly shifted. -1205*           S/off, Suddenly the broadcast is interrupted..